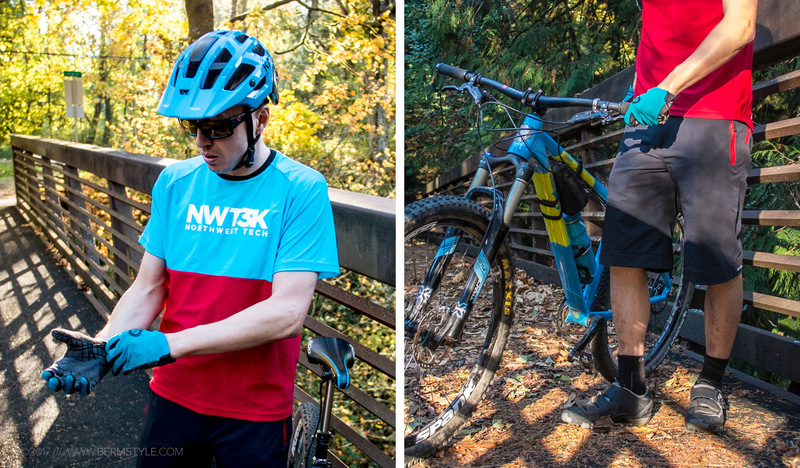 Personalizing your riding gear is now easier than ever thanks to outfits like NWT3K and Stikrd. NWT3K is a new company with a twist: all products are created as one-off pieces based on colors and feature you choose. 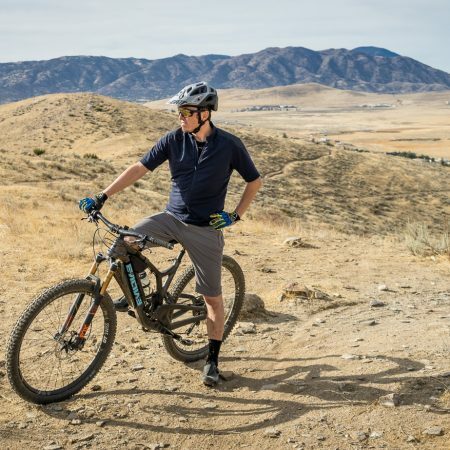 Dialing your kit to your bike is now just a matter of using their web based customizer to create a matching top and shorts to coordinate with your favorite gear. 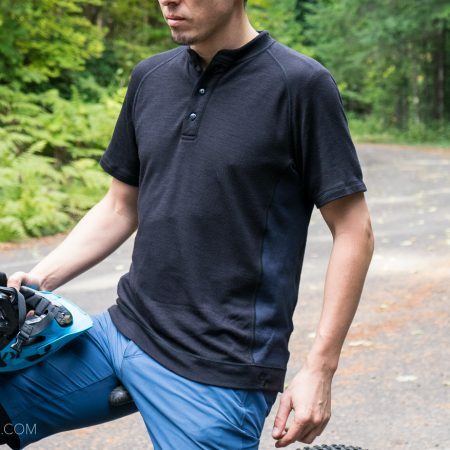 What’s more surprising is the cost: the basic short sleeve jersey starts at $69 with shorts starting at $139, which isn’t significantly more than a typical set of kit. 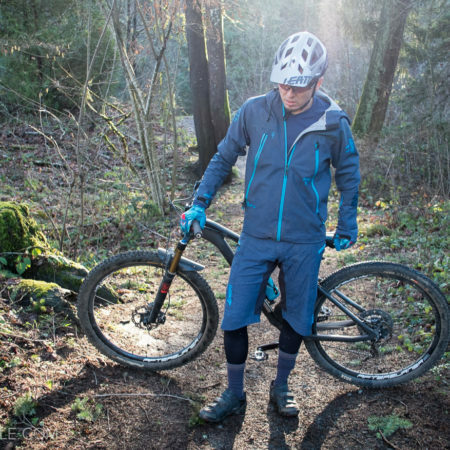 The process of ordering up a kit is as easy as clicking a few buttons to select your favorite colors and determine your size. After ordering, a representative from NWT3K emailed a note with a bit of extra information in terms of sizing to make sure the items ordered would match the desired fit and outcome. A short time later, the new riding kit arrived. 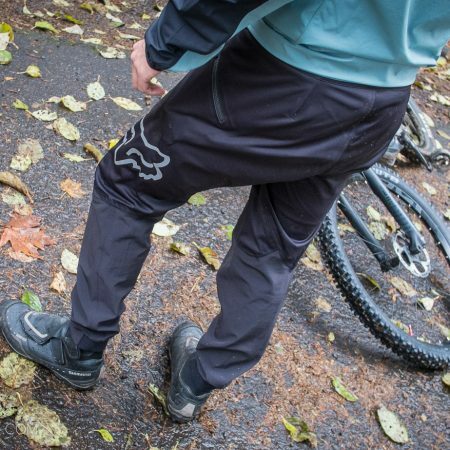 So how does the gear work on the trail? In a word, the results are solid. 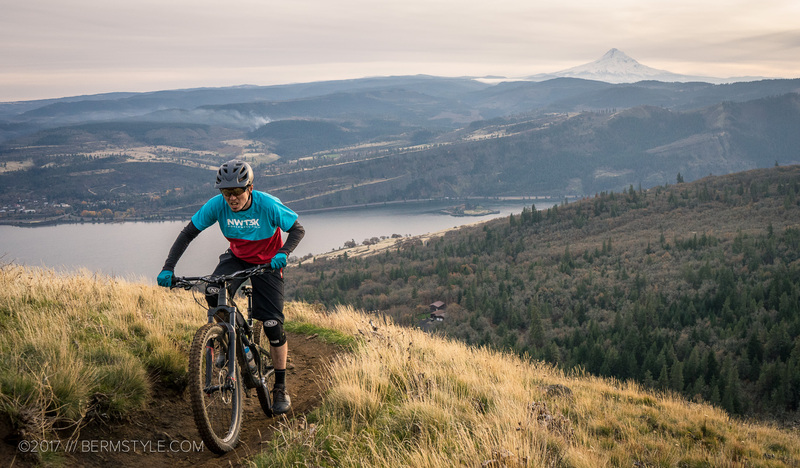 When choosing my custom riding kit, I wanted something that tied into the Bermstyle site branding. As the logo is a sky blue, I selected blue as the primary color block for the top. I also wanted to match the color scheme to as much of my gear as possible so (my DH bike, shoes and helmet are red) I added a red block and accents to the shorts. My goal in designing my kit was to create something that would tie into the Bermstyle site branding and pop in photos. I also wanted to coordinate it with my favorite bikes; I’ll the viewer decide if I succeeded. Personally I think it looks damn sharp. I do have a few niggles in terms of the final results; not being able to add Bermstyle site branding kind of defeats the purpose of “custom”. Also, the blue isn’t quite the hue I expected based on the customizer. It’s lighter. It would help if NWT3K had lifestyle images and not just the renderings on the black background. Monitor resolution and calibration being what it is, this is to be expected. That said, a curated Instagram gallery of customers wearing the gear would be helpful, and something NWT3K could easily implement. I also would want the option to put my own branding front and center; ideally by uploading a vector file. NWT3K does offer this option if you contact them directly, but they require a higher volume of orders. Screen printing at my local print shop down the street isn’t that expensive, and having the option to leave it blank would have meant I could have truly customized the kit. NWT3K Shorts in black with red zippers and blue rear panel. I made the shorts are all black with a blue panel in the rear to match the top, with red zippers to tie the color scheme together. On the bike they’re super comfortable and play extremely well with knee pads. While I often go with more of a tapered cut, I never felt the shorts were too baggy and the material feels durable. Of the two pieces the shorts are easily my favorite, thanks to the most notable aspect of the shorts: the POCKETS. There are plenty of pockets. I like pockets. 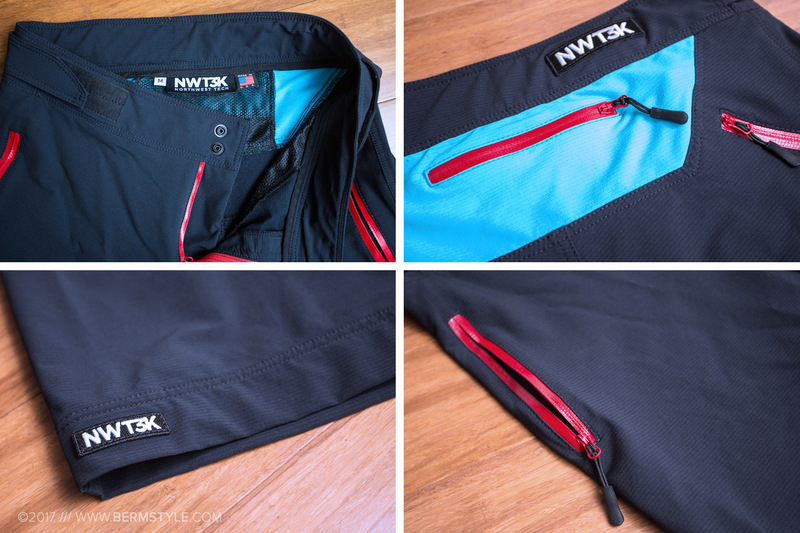 The NWT3K has 5 pockets with zippers, and it’s easily my favorite aspect of the shorts. Did I mention pockets? 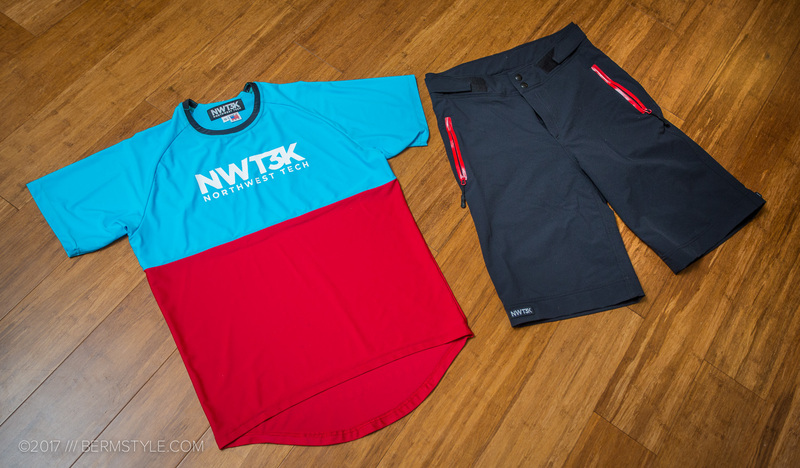 So many shorts lack in the pockets department, and for this reason alone, the NWT3K gear is worth looking into. Blue helmet. Blue Jersey. Blue Bike. As its unlikely you’ll see the kit in person, you may be wondering about the fit. The shorts have a DH fit but drape better than expected – as in not too baggy. In terms of fit, I found both the shorts and jersey to fit similar to Dakine. 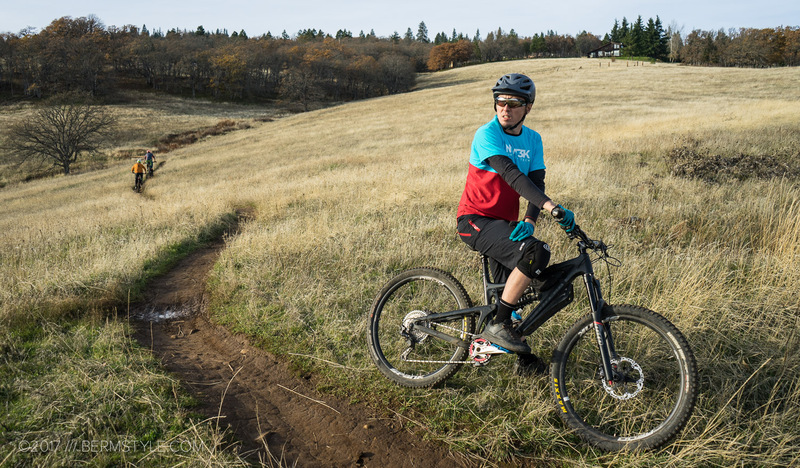 The silhouettes are more DH than trail, with plenty of room to accommodate the burliest of knee pads. The jersey fabric has a lot of stretch. It has more of a spandex feel than I would have expected. I don’t like the feel of the material against the skin as much as other materials, but I’d expect less snags as the stretch feels more durable than other knits. NWT3K short sleeve jersey, size small. Rider is 163 lbs, 5’10”, size 38 jacket. The fit of the jersey is good; most riders my height and weight would be more likely to run a medium for the typical “DH” look. I went with a small as I prefer my tops on the fitted side. The neck hole is a bit on the small side causing the stitching chafing a bit without a base layer. Running a base made it a non-issue. I do like fit of the torso and sleeves quite a bit though. 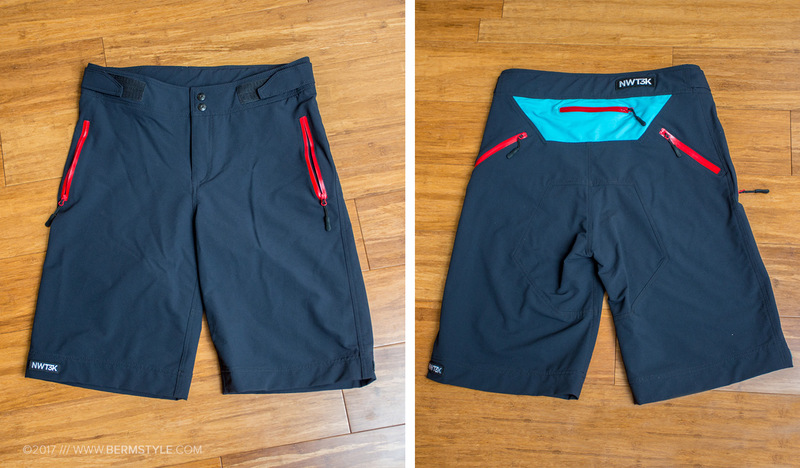 Like the shorts, they remind me of the fit of Dakine more than any other brand in my arsenal. (Dakine is a bit small on the neck hole as well) The material should be great in terms of snag resistance. They have a lot more spandex than I would have expected. I’m guessing they’re spandura? 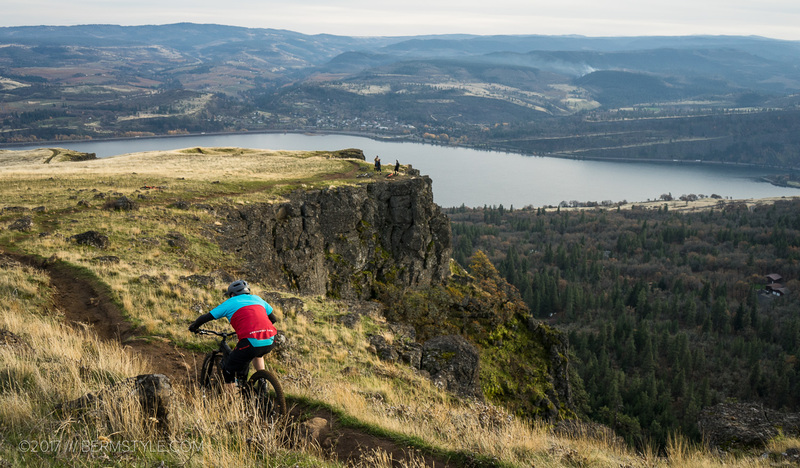 NWT3K doesn’t offer a women’s specific fit I had one of our skills coaching students lament the lack of women’s options, but they are a new company in terms of riding gear for MTB, and I’d imagine if they do well more offerings would be offered in the future. 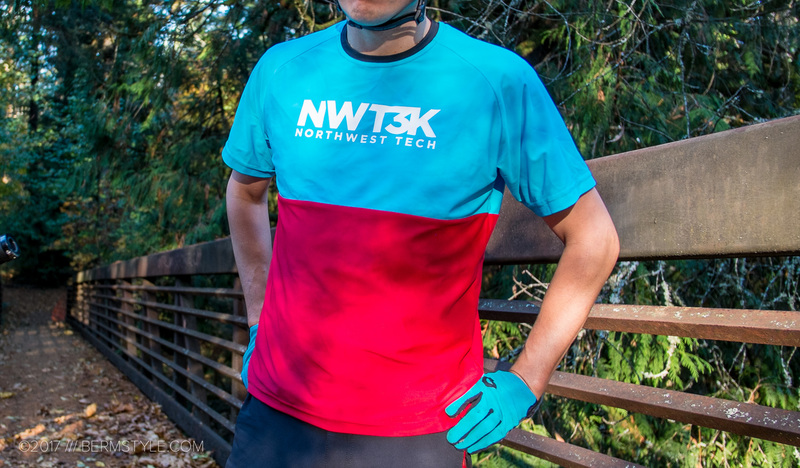 Check out NWT3K and design your own custom riding kit at NWT3K.com.